If you’re at the end of your tether with acne-prone skin and want to put an end to breakouts, this clinically proven spot treatment device is the ultimate ally. Getting straight to the source of the problem, this ingenious device delivers a powerful dose of acne-zapping medical-grade blue and red LED light, rapidly reducing inflammation and acne-causing bacteria. Not only does this clear existing breakouts, it also minimises the risk of scarring and helps to prevent future flare ups. The small, compact design can be used anywhere to treat one or multiple breakouts in just three minutes. An ultra-advanced, truly effective way to treat acne, Dr. Dennis Gross’ DRx SpotLite Acne Treatment Device might just be the answer to your skin’s prayers. Unlike most acne treatments – which rely on harsh, drying chemicals to fight breakouts on the skin’s surface – this clever light delivers a powerful dose of acne-zapping blue and red LED light to rapidly reduce inflammation, redness and acne. Clinically proven, the tool maximises the full spectrum of acne-fighting wavelengths, penetrating just beneath the skin’s surface with blue LED light to fight acne-causing bacteria, along with red LED light to go deeper, reducing redness and inflammation. As well as clearing existing blemishes, the tool also helps to minimise the risk of scarring and prevent future flare ups. On clean, dry skin, place device directly onto breakout. Press and hold power button for 2 seconds to turn on device and use for the programmed time of 3 minutes. If treating multiple breakouts, repeat steps 1 and 2 to target all areas. After the programmed 3 minutes, the device will beep and shut off automatically. 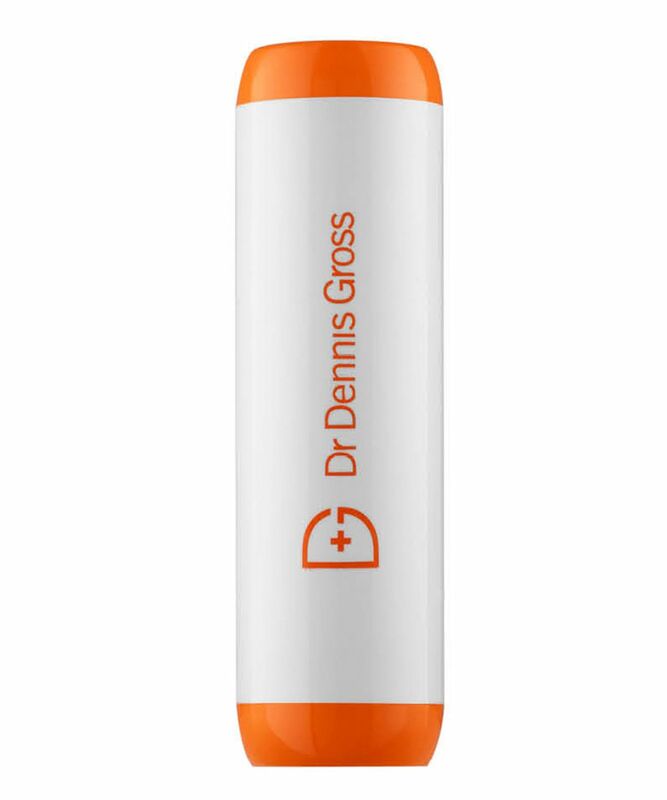 Follow with your favorite Dr. Dennis Gross Skincare peel and serum.